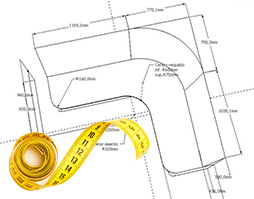 Modular sofa which can be composed following your own taste: each element of the sofa, indeed, can even be used as a single chair, and the arms which delimit its sides, can be detached and be applied to any part, depending on the structure which you have chosen to give to your sofa. 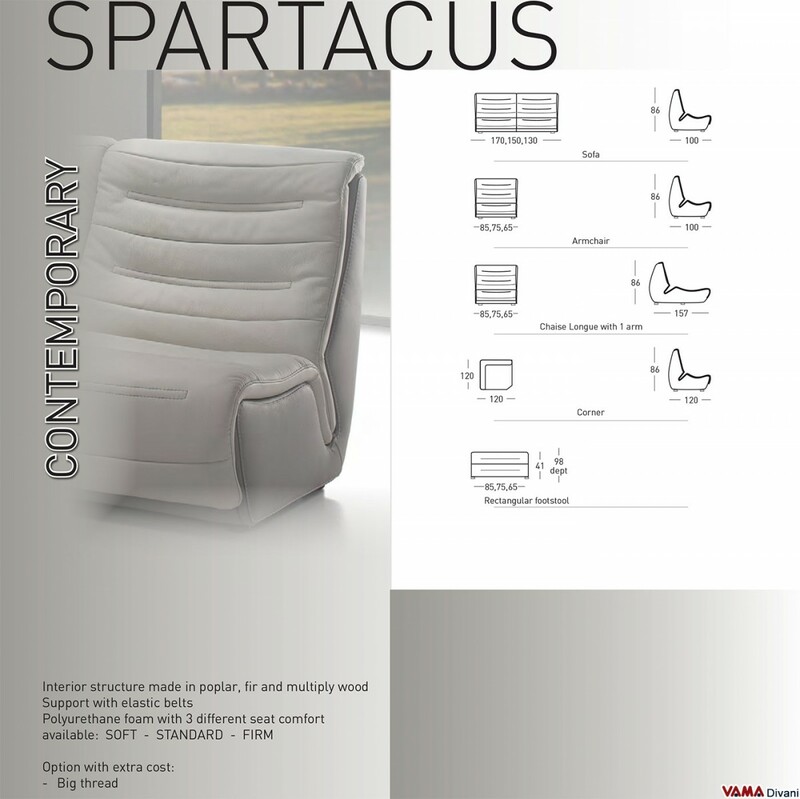 With a contemporary, very simple and elegant design, Spartacus presents a microfibre and leather upholstery in two different shades of dove grey. 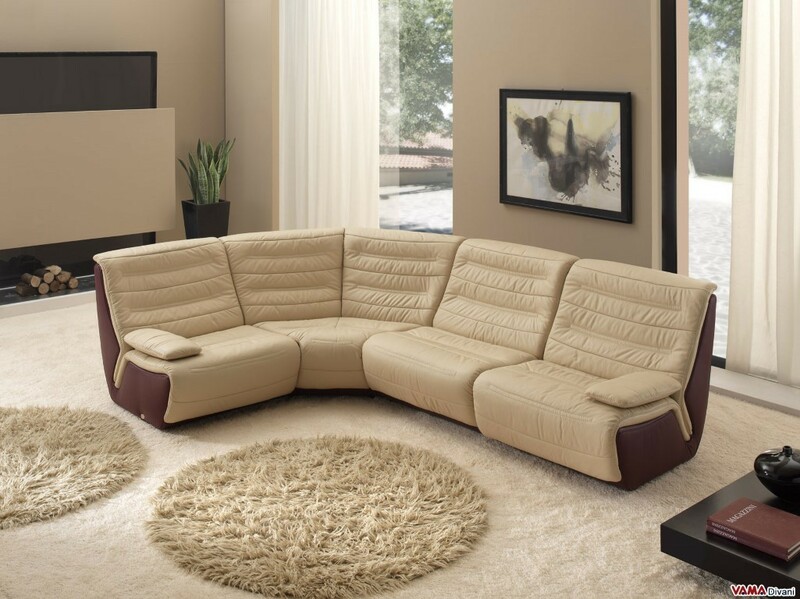 Spartacus is a charming corner sofa that presents a unique feature: its composition made of several elements that can be freely combined with each other. Not only, therefore, the sofa can take many different compositions, but the individual elements can be used as armchairs, being well-finished on all sides. Even its armrests can be removed and replaced on the elements that compose this sofa depending on the structure that you have chosen to give it, you can compose the various Spartacus modules very easily. This original modular sofa presents a very contemporary style, but its simple and elegant lines allow you to place it successfully in any type of space, starting from the room decorated in a minimalist style to the more classic and refined one. 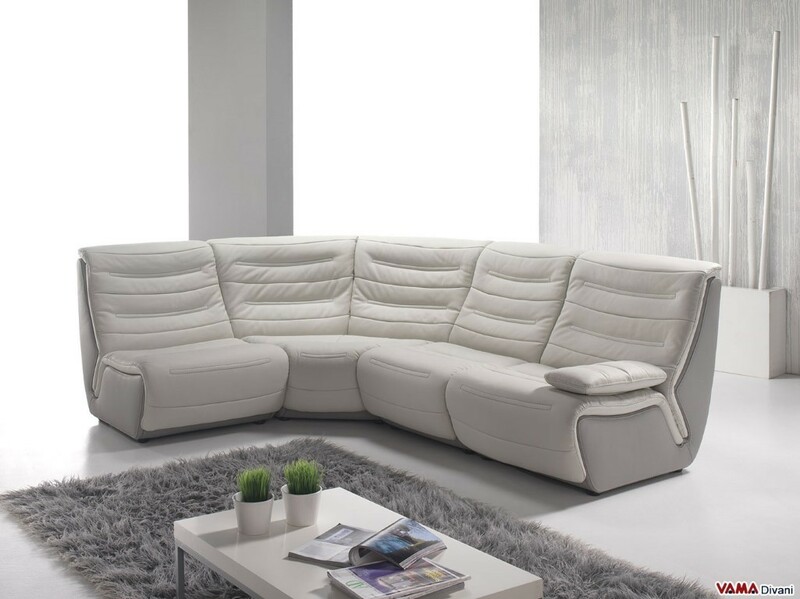 The upholstery of the Spartacus sofa is made of leather and microfibre, with different shades of colour, and its structure, carefully padded, allows you to sit on a very comfortable sofa.